Many traditional approaches to rural land management are strictly sectoral, with a rigid introspective focus. Consequently the impact of silo-driven change on other land users they can often be overlooked or not appreciated. 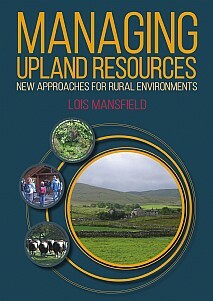 This book critically reviews why there has yet to be a clear route to upland resource management and provides insight and options for integrated transdisciplinary land management solutions for rural areas, specifically uplands. It considers the problem in order to derive appropriate solutions enhanced by a number of in-depth case studies by resource management professionals and the use of many examples of contemporary good practice from different uplands, organisations, projects and programmes. The overarching approach of the book is to provide a tool kit for those individuals, groups or organisations looking to manage the upland resource for the benefit of all. Readers are provided with a range of practical options to develop their own solutions. The book is written in such a way that readers can dip in and out of sections to plug knowledge gaps or read in its entirety for those experiencing a first foray into the complexities of upland resource management. Increasingly, rural areas are becoming recognised as a wider resource beyond traditional food, fibre and water, leading to inevitable management tensions. Goal setting, vision and strategy development, management planning, aims, objectives and prescription (actions) are considered and some of the new agendas for resource use in uplands which may be worth consideration for individual projects are explored. This comprehensive book deals with the implementation, advantages and disadvantages of a range of traditional and contemporary resource management approaches which are then expanded upon by a range of resource management professionals based on their own experiences. These case studies demonstrate the development of more effective projects and the book concludes by considering how work can be monitored and evaluated before ideas are synthesised for best practice. Upland resource management: why has it failed? A vital handbook for students in land management, resource and biodiversity conservation, geography and of specific interest to practitioners in these disciplines and policy makers, charities, NGOs, government departments and statutory bodies as well as community groups and individuals seeking to improve their local environment.